Lady Anne Arundel (sometimes spelled Arundell) was born in 1615. She was an English noblewoman, daughter of Thomas Arundel, 1st Baron of Wardour, and a member of the ancient family of Arundels in Cornwall, England. Her father was a wealthy and influential Catholic. In 1628, at the age of thirteen, Lady Anne married Cecil Calvert, 2nd Baron Baltimore, the founder of the colony of Maryland. Of the nine children the Calverts had, only three survived to adulthood, including Charles Calvert, 3rd Baron Baltimore. In 1632, King Charles I signed the Charter of Maryland—named for Queen Consort Henrietta Maria—granting the colony to Cecil Calvert. Cecil and his father George envisioned the colony as a place where fellow Roman Catholics could escape the religious persecution that was then prevalent in England. After George Calvert’s death, Anne’s father, Lord Wardour, invested heavily in the new colony, and was able to fulfill his dream of establishing a colony in North America through his son-in-law. Cecil Calvert, who never set foot in Maryland, tried to make the colony a prosperous and safe refuge for persecuted Catholics, investing a good deal of his own wealth. He sent his younger brother, Leonard, to the new colony in 1634. Leonard sailed with the ships Ark and Dove, and the colonists established a settlement at St. Mary’s. In 1642, the English Civil War broke out between the Roman Catholic royalists supporting Charles I and the Protestant Parliamentarians. Cecil Calvert became concerned about his ability to maintain control over his colony. To solidify his position, he took several steps that would prove pivotal in the history of the Maryland Colony and what would soon become Anne Arundel County. In 1649, the Maryland General Assembly passed An Act Concerning Religion which provided some religious protection to all Christians. Lord Baltimore also replaced the Catholic Acting Governor Thomas Greene with the Virginia Protestant William Stone, with the understanding that Stone would bring new settlers to the Colony. 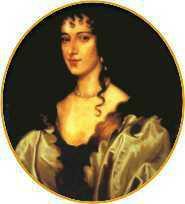 Lady Anne Arundel Baltimore died in 1649, at the age of 34. Cecil Calvert was distraught over the death of his beloved wife of twenty-one years. He outlived her by many years, enjoying a long retirement before dying in Middlesex on November 30, 1675. 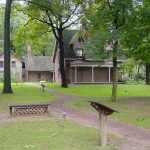 Governor Stone lured a group of nonconformist Virginia Puritans to Maryland with the promise of land and guaranteed freedoms. In December of 1649, the first European settlement in what would become Anne Arundel County was founded by these Puritans on the north shore of the Severn River opposite present-day Annapolis. It was called Providence. 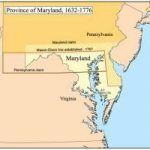 In 1650, the Maryland General Assembly officially created Anne Arundel County. The County seal still in use is the Coat of Arms of the Lords’ Baltimore. London Town was the original seat of County government. From 1650 through 1695, a series of religious, regional and political struggles occurred in Maryland. In March of 1655, the Battle of the Severn was fought at the mouth of the Severn River. Governor Stone’s forces, under Lord Baltimore’s orders, sailed up the Chesapeake Bay from St. Mary’s City. His goal was to reestablish the authority of the Calverts over Providence, but the Puritans decisively defeated the Governor’s forces and gained temporary control of the colony. Oliver Cromwell restored Cecil Calvert’s control in 1657, but in 1688 King William III annulled the Calvert Charter and declared Maryland a royal colony. The General Assembly voted in 1694 to move the capital from St. Mary’s City to Anne Arundell Towne. In 1695 the town was renamed Annapolis in honor of then Princess Anne, daughter of Queen Mary. Annapolis became the economic, social, and political center of the colony and the seat of government for Anne Arundel County. It remained the capital and seat of government when statehood was achieved on April 28, 1788.